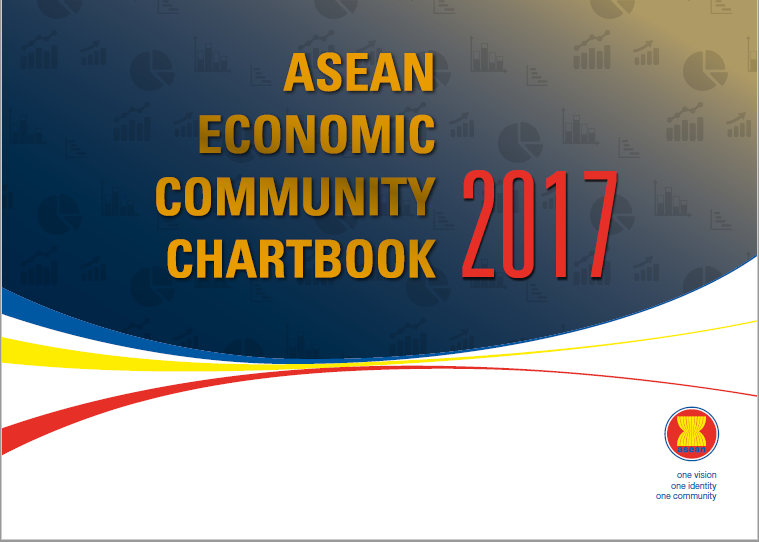 The ASEAN Economic Community (AEC) Chartbook 2017, provides statistical updates on the various dimensions of the ASEAN economic community based primarily on data submitted by the ASEAN Member States (AMS). It covers the period of 2007, the year the Declaration on the ASEAN Economic Community Blueprint was signed, to 2016. The AEC Chartbook, now in its 11th edition, aims to walk its readers through the different developments taking place in the ASEAN region ranging from demography, economy, international trade, investment to infrastructure in eight sections. The charts presented in this publication are based on data available in the various databases being maintained by the ASEAN Secretariat as submitted through relevant ASEAN working groups and/or data sharing schemes and/or as gathered from official publications and websites of the AMS and international organisations, as of 31 October 2017. Some data were derived/estimated using basic statistical approaches employed by the ASEAN Secretariat. Unless otherwise stated, these figures are in no way considered as official statistics, and are used only to give indicative information.